Emerald City Comic Con (ECCC) 2019 just wrapped up its annual event, held this year March 14-17. ECCC is the biggest con in the Pacific Northwest, and it continues to grow at a healthy rate. 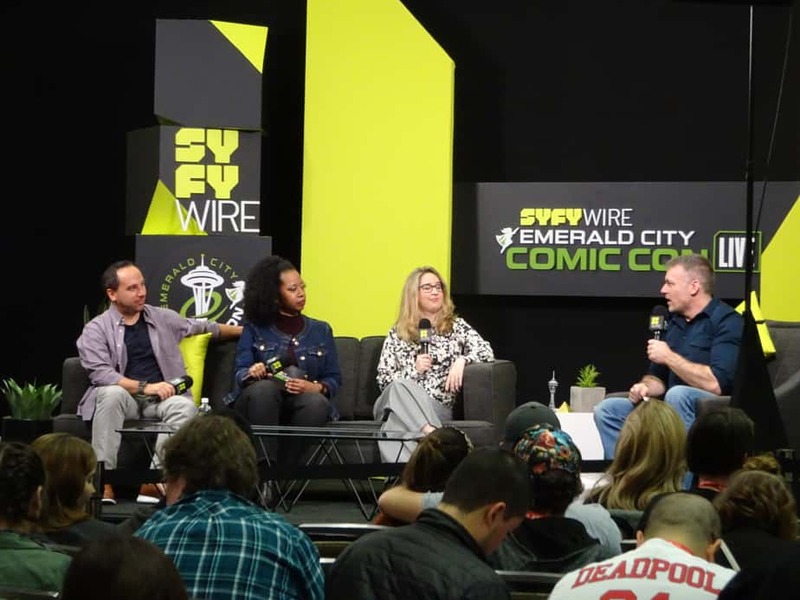 This year, approximately 98,000 attendees visited ECCC, many for the first time. 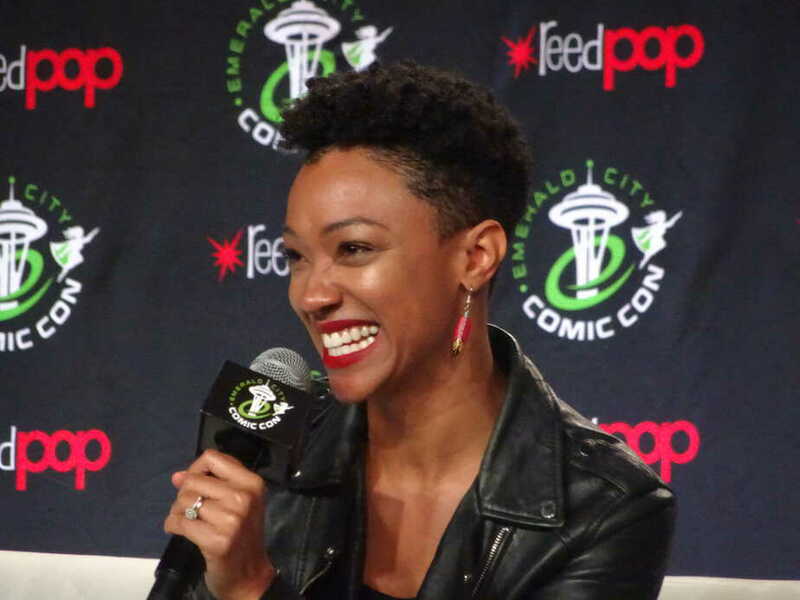 While the majority of these fans hail from Washington state, Oregon and British Columbia, attendees also come from other parts of the US, and there are also a number of international visitors at the con each year. 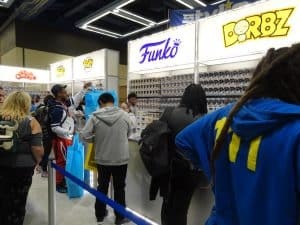 One of the biggest sources of growth for ECCC over the past couple of years has been the expanded presence of Funko. 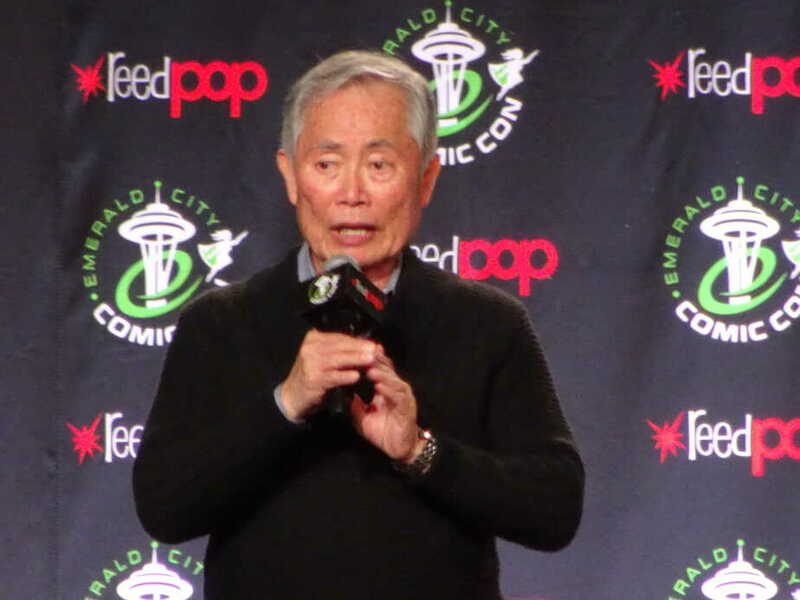 Funko’s headquarters and flagship store are located in nearby Everett, WA, making ECCC the company’s home con. 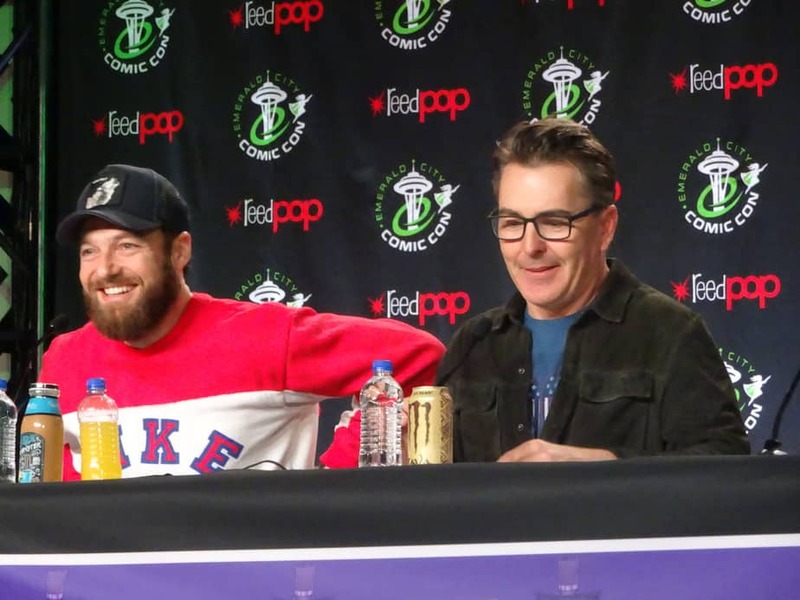 As a result, ECCC hosts many Funko-related parties (there were 3 this year, presented by Funko HQ, Tiny Ghost and Fugitive Toys), as well as productions of the Funko Funkast, in addition to selling con exclusives at their booth on the show floor. 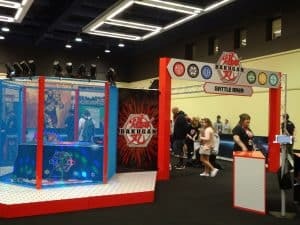 This has made ECCC a destination con for Funko funatics (as they like to be called), and the presence of these collectors was as strong this year as it was in 2018. 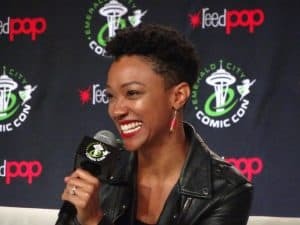 However, in 2019 ECCC grew in a new direction. For the first time, the con hosted screenings from national entertainment companies AMC (Into The Badlands, N0S4A2) and Fox (Alien Shorts). 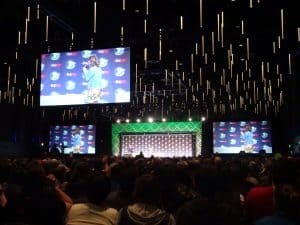 Previously, the only screenings at ECCC were held by small, local filmmakers. 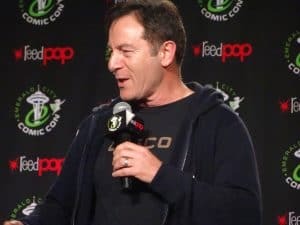 This is a sign that ECCC is ‘on the map’, and being noticed by media and entertainment companies outside of its local area. Shudder also had a booth on the show floor, along with a table for Paramount to promote the upcoming Pet Sematary film remake. While these may seem like small things, they represent a change in the attention given to ECCC, bringing it to more of a national stage. Generally, entertainment guest panels at ECCC consist primarily of fan Q&A. 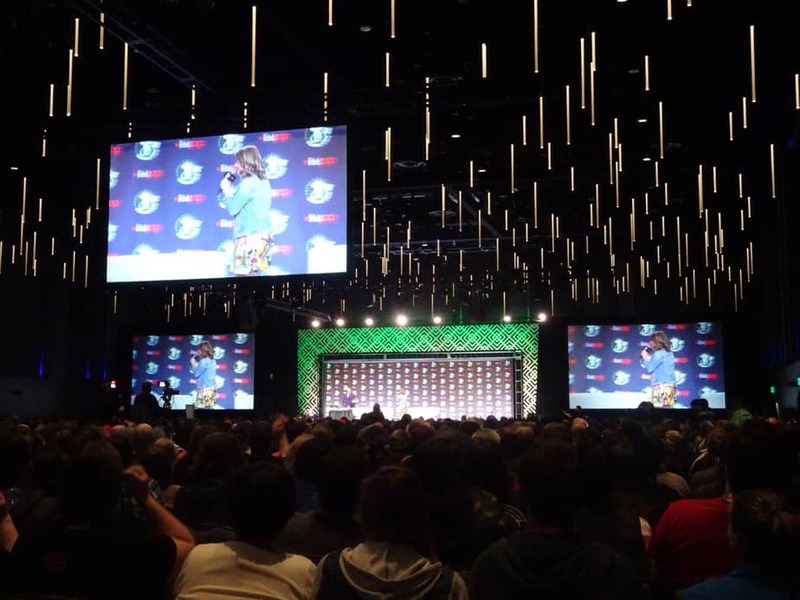 The big exception this year was the presence of Critical Role, which held a large panel on the Main Stage hosting a large group of cast members talking about the show and giving a sneak peek at their new animated series. Additionally, the con hosted a live Critical Role episode streaming party on Thursday and numerous other fan get-togethers and meetups. This strong Critical Role slate might have been the reason for the increased gaming presence this year at ECCC. 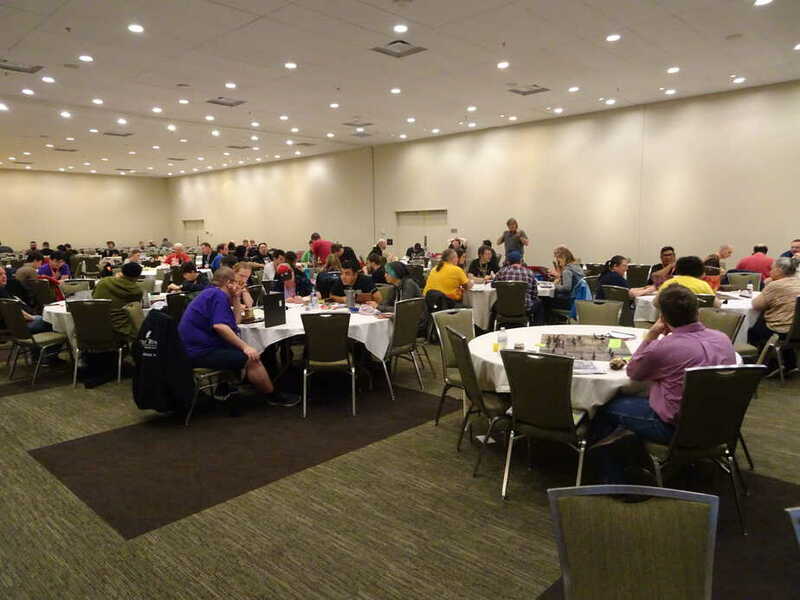 While gaming has always been a significant part of ECCC, in 2019 it moved up a level, expanding to 2 full floors in the TCC (including sponsored Magic demos) and being visibly present on the show floor, with a large number of gaming-related vendors and artists. Bakugan also made a splash at the con, hosting a tournament with prizes at at large booth right in the Exhibit Hall. This was all in addition to ECCC’s usual busy slate of quality gaming panels. Gamers had plenty to enjoy all four days of the con. Arguably the biggest change this year was ECCC’s expansion to the Hyatt Regency hotel. 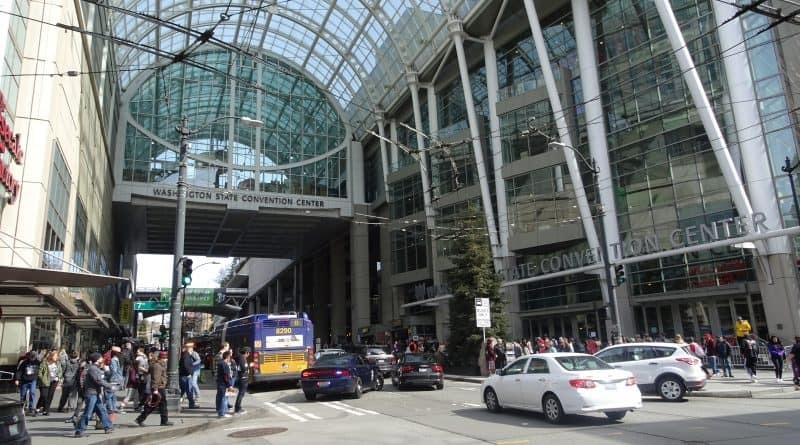 While in the past, ECCC has held some limited aspects of the con at the Sheraton hotel, next door to the convention center, in 2019 the Main Stage was moved to the newly-constructed Hyatt Regency, which was a few blocks away, meaning that attendees literally had to ‘cover new ground’ just to get there. Many surmised that this distance from the convention center would result in lower crowd levels at the Main Stage, but this was not the case. Many more panels than usual reached capacity, including Star Trek’s George Takei, Critical Role, Stranger Things and Harry Potter’s Rupert Grint. 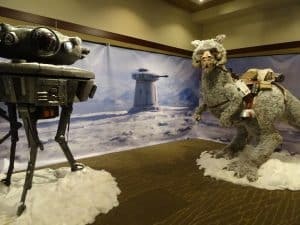 Those who made the trek to the Hyatt Regency seemed to enjoy the facility, although there were a few inconvenient aspects of the experience, such as frequent escalator breakdowns and non-consecutive use of the meeting room floors. This resulted in over-crowded elevators, causing many attendees to hike up and down multiple flights of stairs. Still, the facilities were comfortable, and the weather was excellent (by Seattle standards) so attendees were generally content. While many attendees were at the Hyatt Regency, the crowds at the convention center were still significant. The show floor was bigger than ever this year, having expanded into the old Main Stage area, yet it was as crowded as ever. 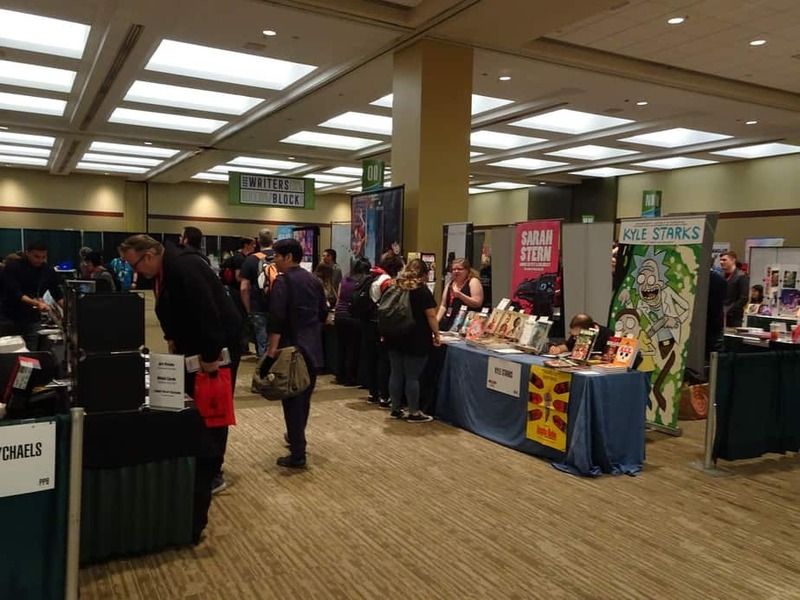 Artists’ Alley was also expanded and very busy, as was the authors area. 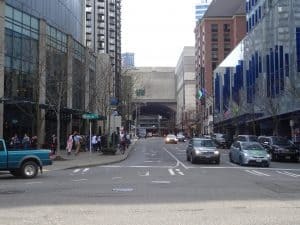 With all of these crowds, many expected that ECCC’s new security measures would be a problem, yet surprisingly, entrance to the convention center went relatively smoothly. FoCC Blog spoke with many attendees, and no one reported any significant waits or issues. While it was somewhat annoying having to undergo bag checks, wandings and metal detectors, the lines were short, and the process was nowhere near as cumbersome as had generally been expected. 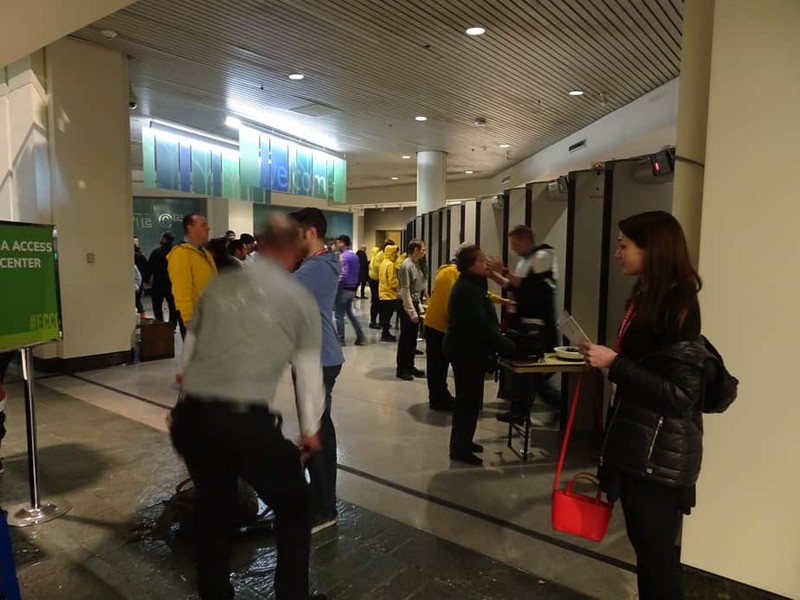 Kudos should go to ReedPop and the convention center staff for implementing these security measures as smoothly as possible. 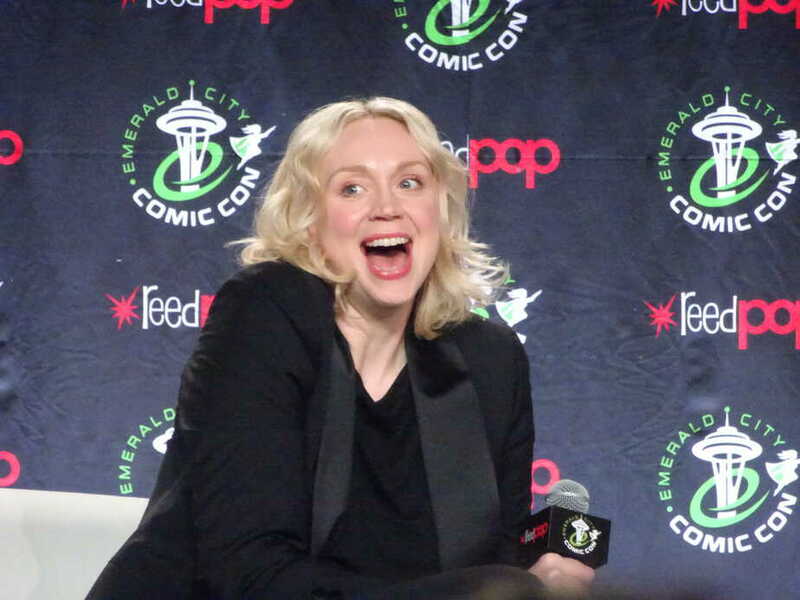 ECCC will return to Seattle March 12-15, 2020. 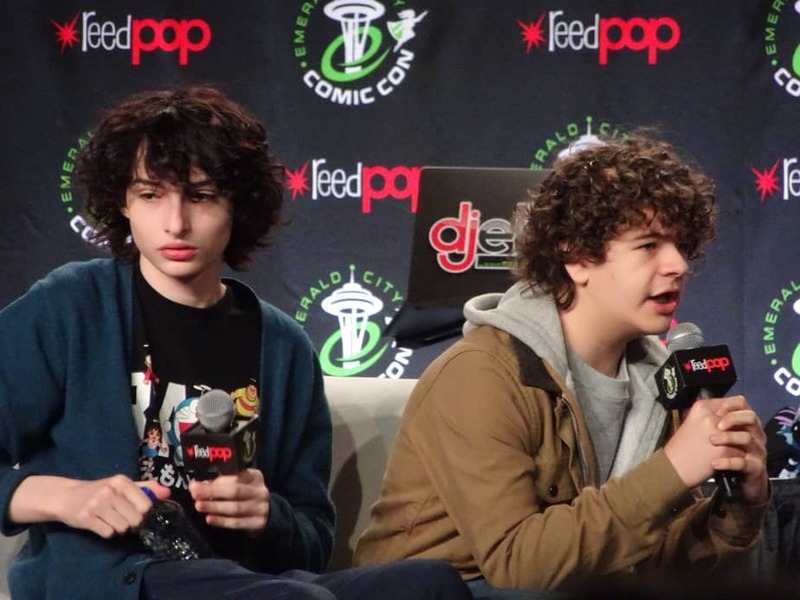 I know that I am looking forward to seeing how this dynamic con will evolve next year. Did you attend ECCC 2019? Join the conversation on the FoCC forums!